Actress Rakshandha Khan needs no introduction for sure as she has been on the block for a really long time and has given the viewers some of the most memorable characters too. 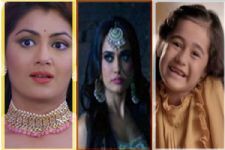 Currently, the actress plays a negative role in Colors' Naagin 3 and this marks her umpteenth negative role where she has been doing the same multiple times now. Of course, to some, it may be repetitive and it is fair to feel that, where one can get easily typecast too. Having played back-to-back negative roles in Brahmarakshas - Jaag Utha Shaitaan and Naagin 3, a fan went on to ask Rakshanda if she gets bored of playing so many negative characters.